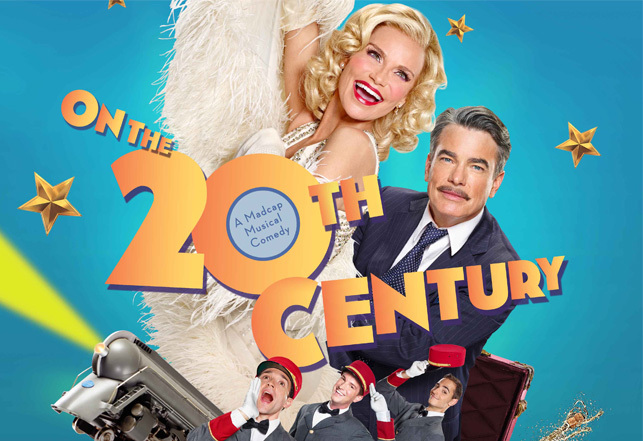 On the Twentieth Century played its last performance on July 19, 2015. Oscar Jaffee, a bankrupt Broadway producer, has one train ride to convince his former lover and now Hollywood star Lily Garland to be in a play about Mary Magdalene. The only problem is, he has no funding for the play, and it hasn’t been written yet! Can he write an epic play, secure the funding, and win the girl by the time the train reaches its final destination? Anything could happen On the Twentieth Century! General Rush – There are a limited number of mezzanine tickets offered at the box office on the day of performance only. Average price $27–$47 and subject to availability. Hiptix – Patrons ages 18-35 can register for Hiptix and purchase $25 tickets to On the Twentieth Century in advance.